In an age where technology is an essential market place tool for successful business, the right advice is necessary. We are proud at John Lanigan & Nolan Solicitors to have worked with the owners of growing businesses and start-up SMEs by advising them on the area of Intellectual Property and Information Technology law. 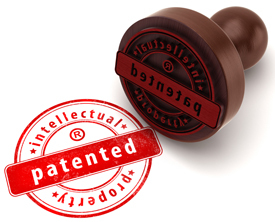 The protection of intellectual property rights are essential to the continued success of a business and John Lanigan & Nolan solicitors can advise you on how best to protect these rights. In the event of an infringement of any of your rights such as passing off (where your trademark is copied and used in an unauthorised way), design infringement (where your protected design is used in an unauthorised manner), or if there are software infringements, we will draw on our experience and advise you on the best options for your business. John Lanigan & Nolan Solcitors will also assist you in ensuring that your employment contracts are properly drafted to ensure that your Intellectual Property remains your property. Our expertise in drafting and defending licencing agreements will enable you to concentrate on your core business, confident that your Intellectual Property is protected. In addition to assisting with general advices on company law and Intellectual Property, we can advise you on your Privacy and Data Protection obligations.